Recently I’ve been eating out at a variety of places and visiting new places before I leave Birmingham so I’ve decided to put up a food review every Friday. It’ll unofficially be ‘Foodie Friday’. 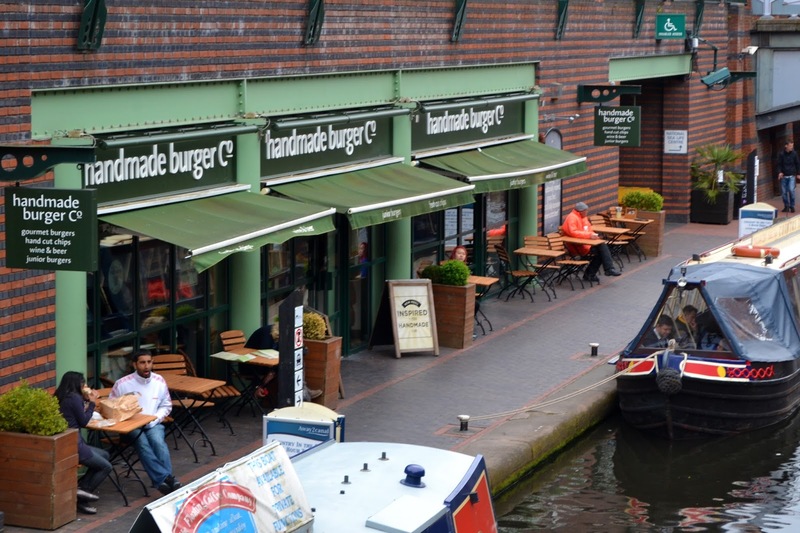 Today’s post is about Handmade Burger Co in Brindley Place. I had visited the Bullring branch before but I wasn’t too impressed as my order wasn’t correct. 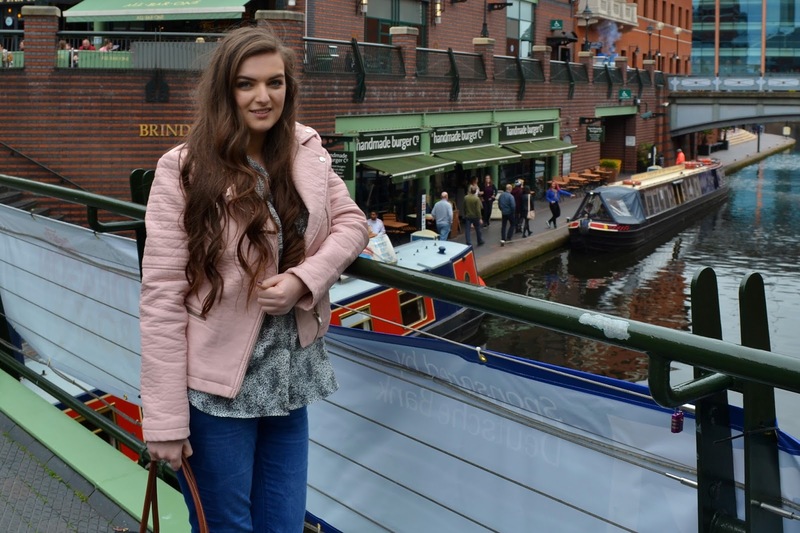 We decided to visit the Brindley Place branch as Alex and I had been exploring the canals around the area. As it was Bank Holiday Monday, Handmade Burger Co was incredibly busy but we managed to get the last table! The first thing I have to say is that the menu has many options, from having different types of bread buns, meat-stuffed buns and many gluten free options. We was truly spoilt for choice. After much deliberation, I went for the Hawaiian Chicken Burger which came with grilled pineapple, cheddar cheese and Bacon and Alex went for the American Cheese Beef Burger which came with onion rings, American mustard and swiss cheese. We also chose to get two portions of chips and some more onion rings and not forgetting the soft drinks which were refillable – Always a bonus! The food arrived pretty quickly after we placed our order at the counter, everything looked insanely delicious. My burger was incredible and it was actually one of the best one’s I’ve ever had which is also something Alex said about his burger. Our eyes were definitely bigger than our stomach’s when It came to the sides, one portion of chips would have been perfect for the two of us and we struggled with the onion rings. 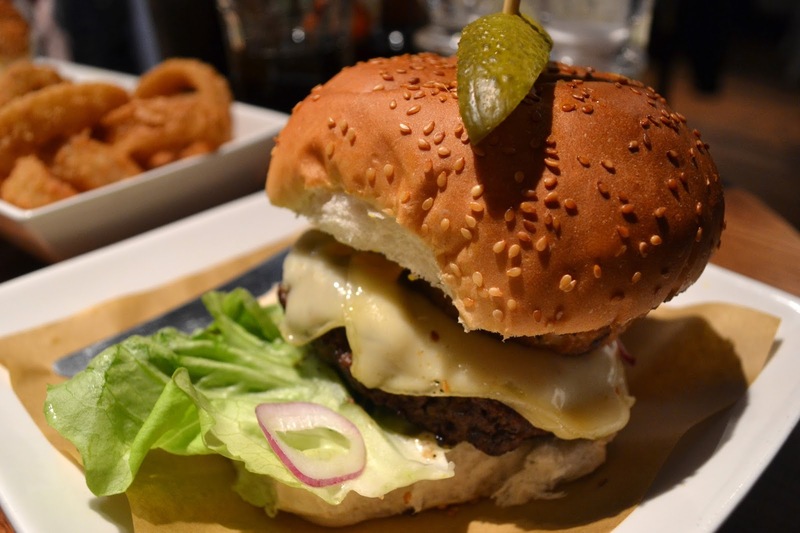 We both really enjoyed our dinner at the Handmade Burger Co in Brindley Place, not only is it in a lovely location but the staff were friendly and helpful even when it was a manic Bank Holiday Monday and the food was on point. We will definitely be back sometime soon! 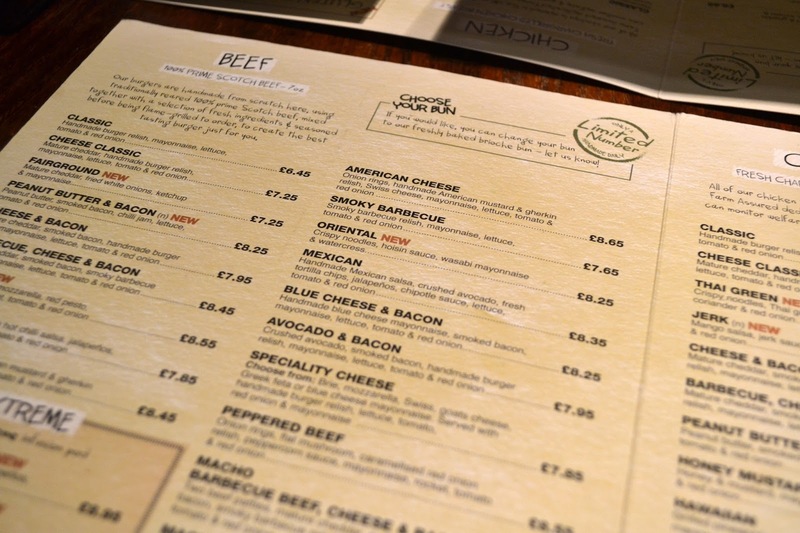 Have you ever been to Handmade Burger Co? What did you think? 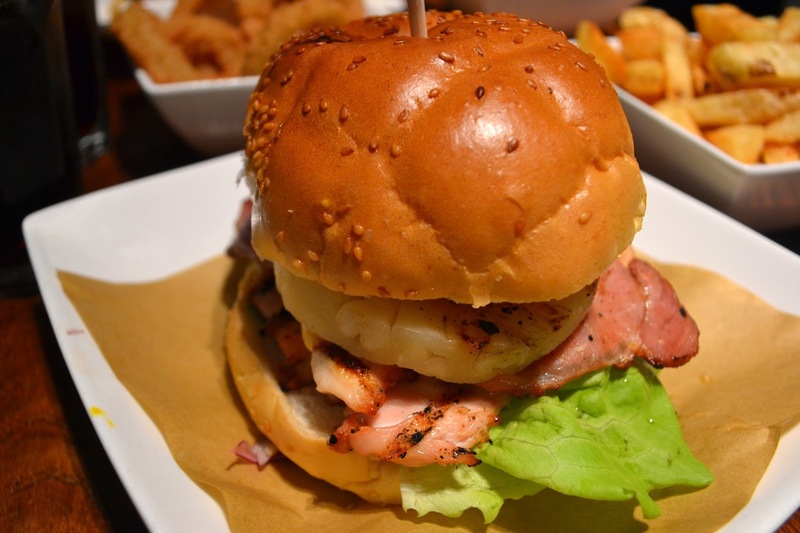 I love handmade burger, usually have chicken burger with a milkshake, we generally share sides as it is soooo filling! What a great location. 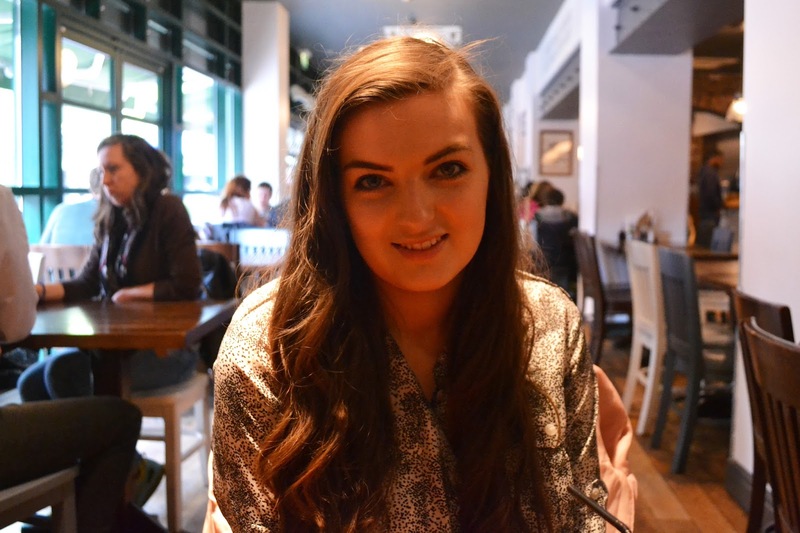 I had one of my first dates with my now husband in Birmingham. We had a walk around the canal, your photos reminded me of that! I’ve never been to Handmade burger Co. The photos look great! Thanks for sharing amazing place..